Stones Throw Records has become a home to a plethora of musical artists who nobody else would sign. The reason, Chris Manak, aka the celebrated music producer, Peanut Butter Wolf. Clearly Wolf is a man of many talents and tastes and here we get to see the journey of his record label from inception to near enough now. Being an independent label has its challenges art is his goal whether or not the music is commercially viable. There was a time when Stones Throw was a mecca for many artists who would otherwise find it difficult to get a deal. Started in 1996 as a way to put out the kind of music he likes as opposed to the music he thinks people will like and he has remained true to this to date. It has been seen as a hip-hop label but was always more than that. One of the main reasons was Madlib, the incredible producer behind the brilliant Madlib/ MF Doom collaboration Madvillainy, that is now seen as one of the greatest hip hop albums amongst the cognoscenti. Originally signed to Stones Throw as part of the hip hop outfit, Lootpac, Madlib went on to become one of the greatest hip hop producers living today. His work with the late, great J Dilla caused a great deal of excitement within the hip-hop community and music industry in general. 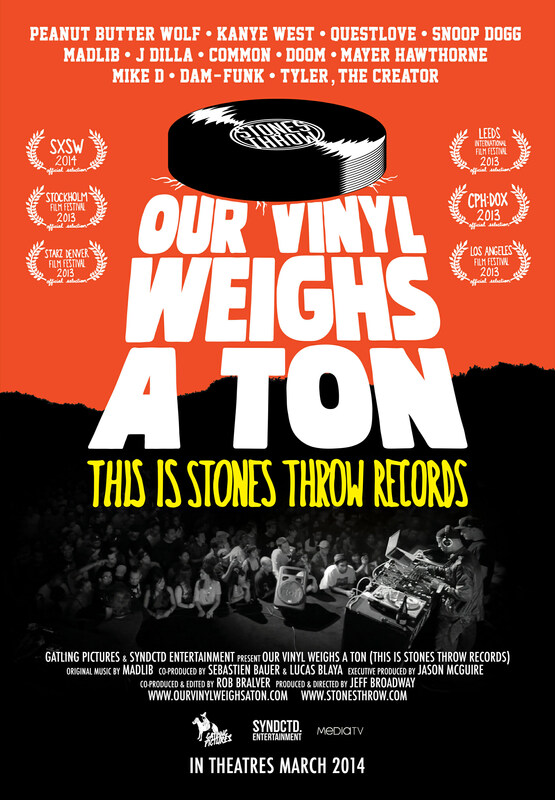 Featuring the likes of Common, Tyler the Creator, Kanye West, Flying Lotus, Madlib, Daniel Dumille (MF Doom) Talib Kweli and Snoop this documentary is a must for all lovers of music showing that it can be done outside of the usual channels, independently and at times, successfully.